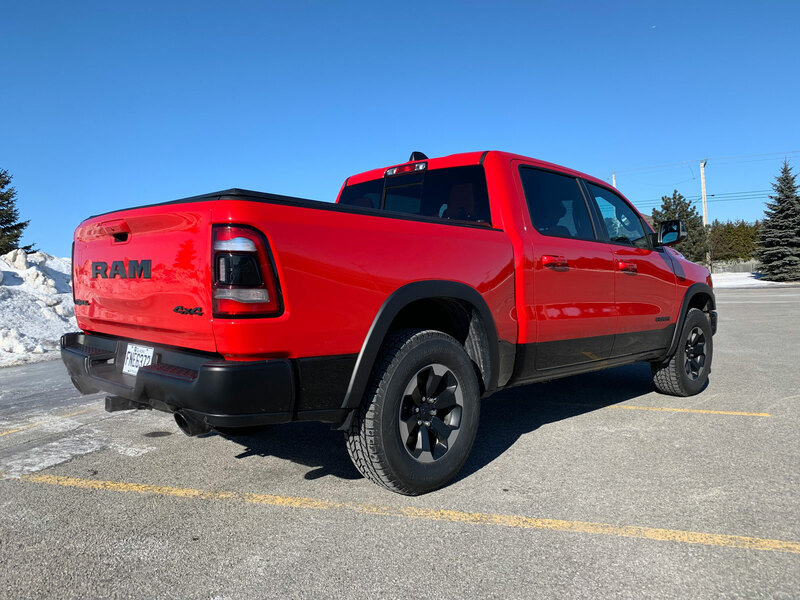 Ram has just released an all-new 1500 model for 2019 and it’s been completely re-designed and reworked. 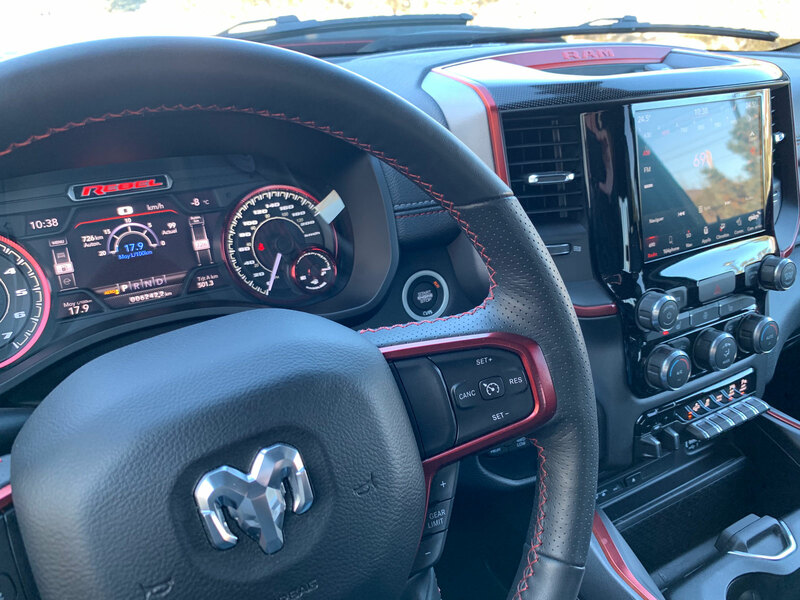 MontrealRacing.com reviewed the new model here if you’d like to get all the gritty details on the new Ram. 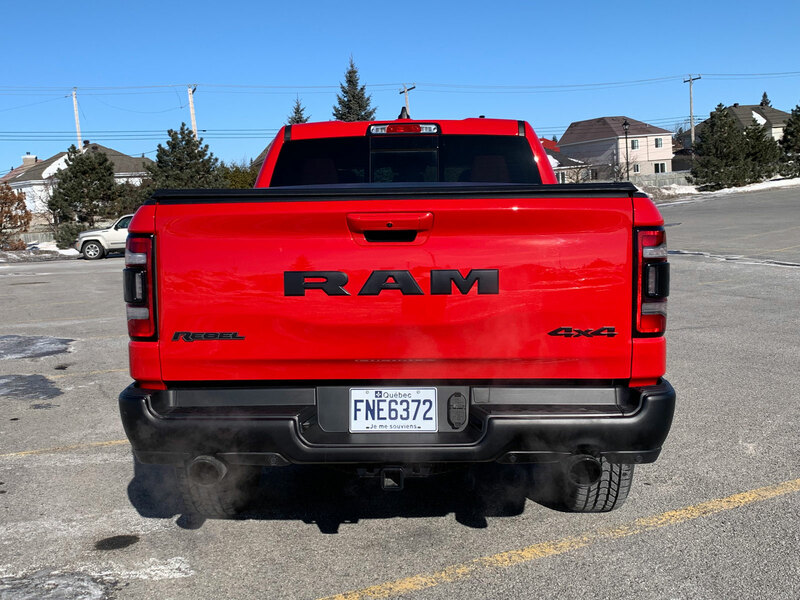 In this review we’ll focus on the off-road edition that is the known as the Ram Rebel. 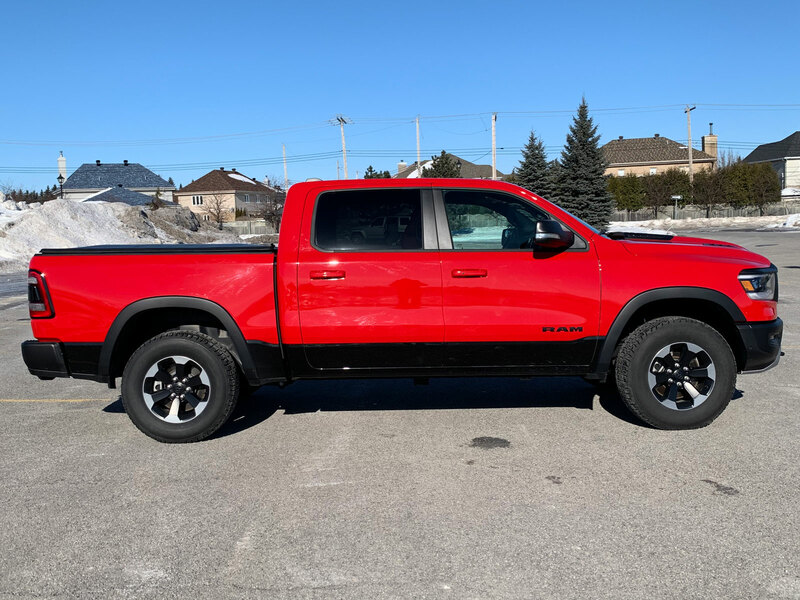 That’s a lot of trim levels but par for the course for most pickups. 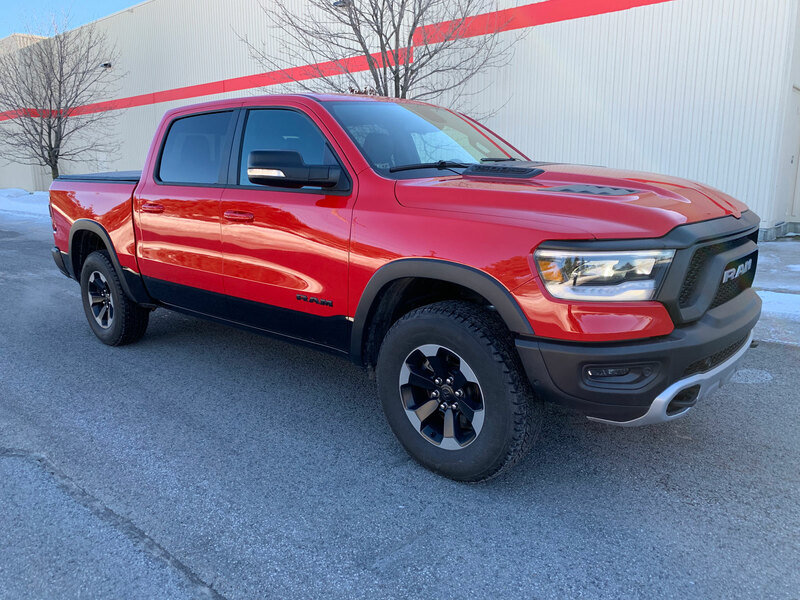 The Rebel is the edition for the off-road enthusiast and has the equipment to back it up including several options are exclusive to this trim level. 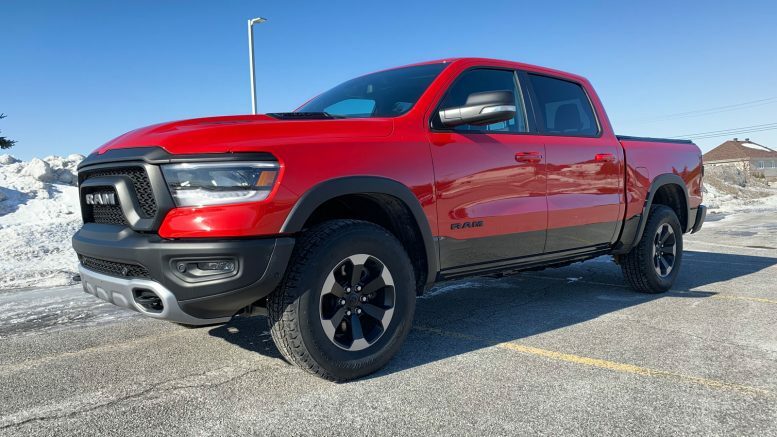 It has big 33-inch Goodyear Duratrac off-road tires mounted on 18-inch wheels to help keep you out of trouble. 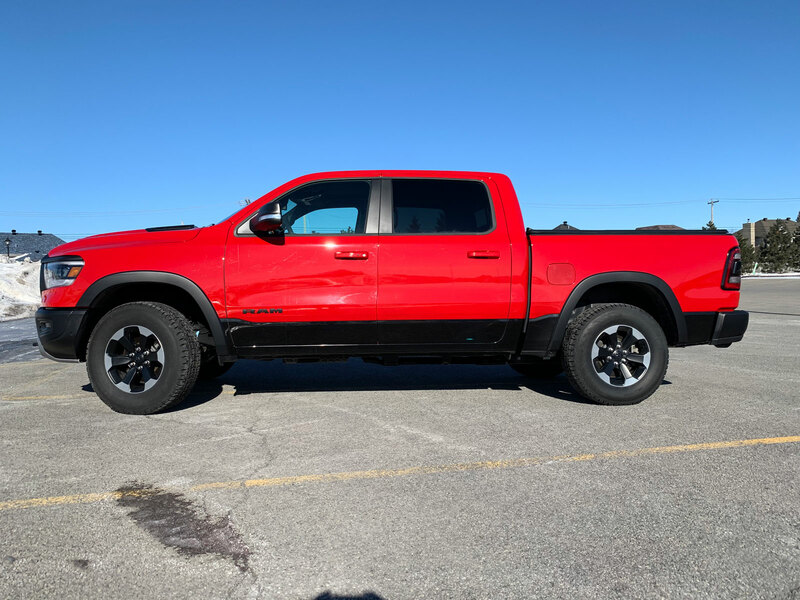 The suspension has upgraded shock absorbers and an electronic locking rear differential to insulate the truck from the rigors of whatever terrain you come across. That’s about all that differentiates it mechanically from the rest of the lineup. Looks-wise the Rebel is immediately discernable from the other 1500s. 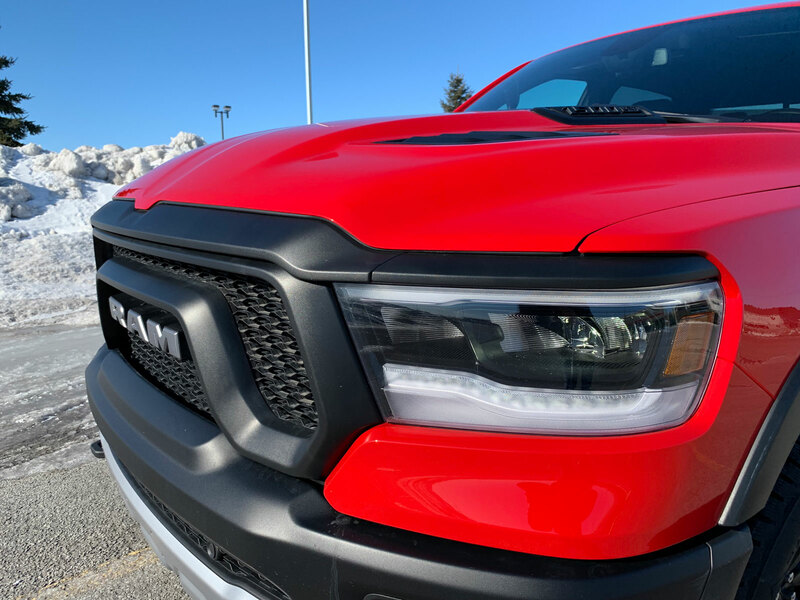 The front grille is unique and more aggressive, the hood has special vents, there are fender flares, undercarriage protection, beefier bumpers and an increase in ride-height due to the larger wheel/tire combo. 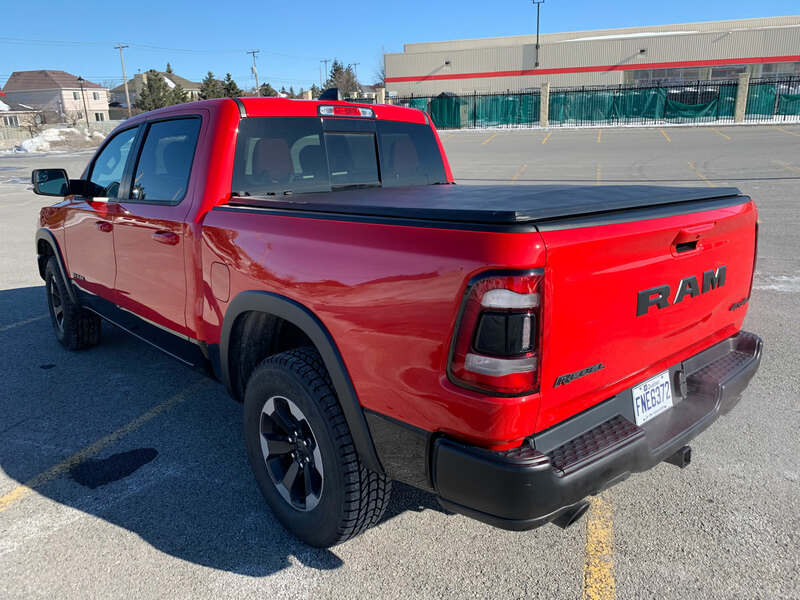 One thing I did find was that the increased ride height makes it a bit more work to get into the cabin, in particular because you won’t have those nifty electric side runners found on the more luxurious models to step on. 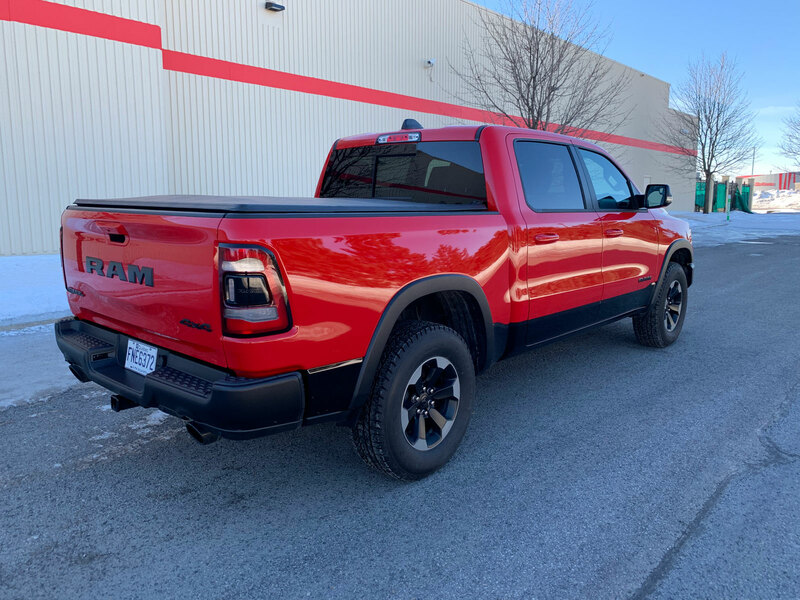 The Rebel can be order in either Quad Cab or Crew Cab. 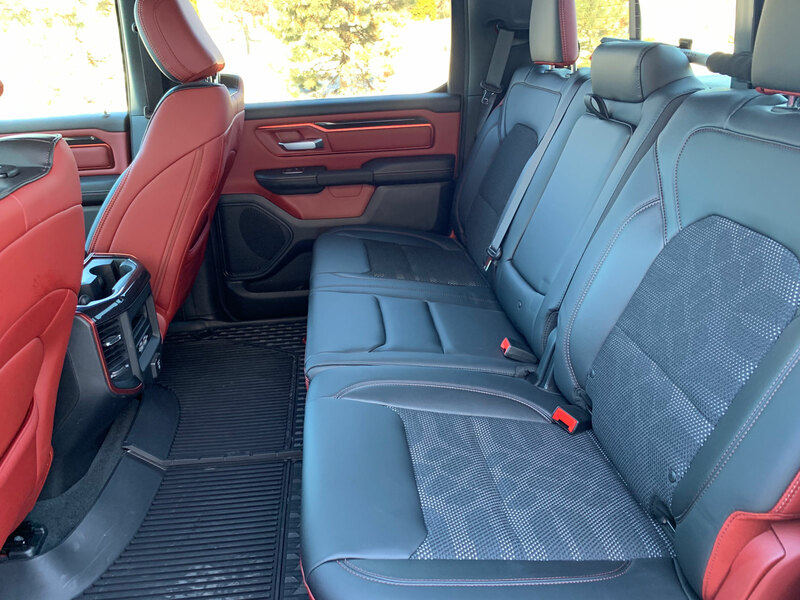 The Quad Cab still has four proper doors although the cabin is smaller. 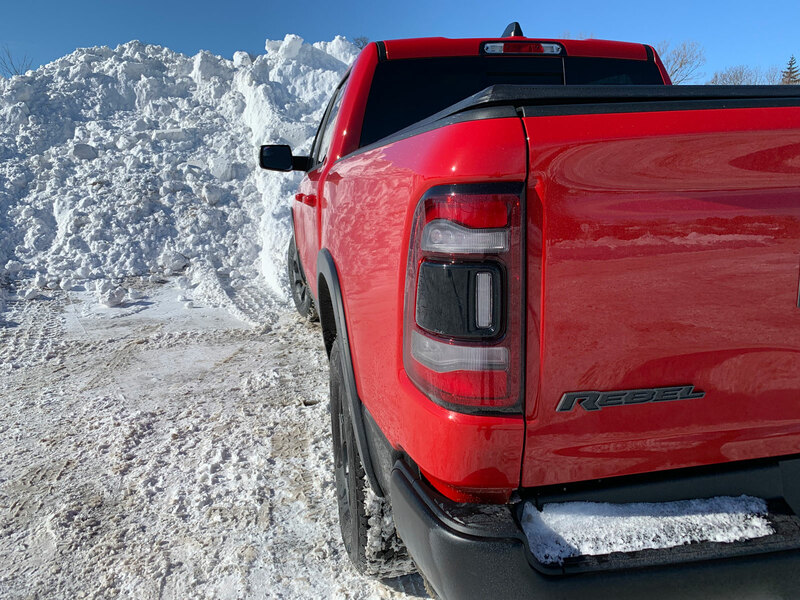 Because of this size difference you can get the larger 6’4” bed with the Quad Cab while the Crew Cab comes with the 5’7” bed. 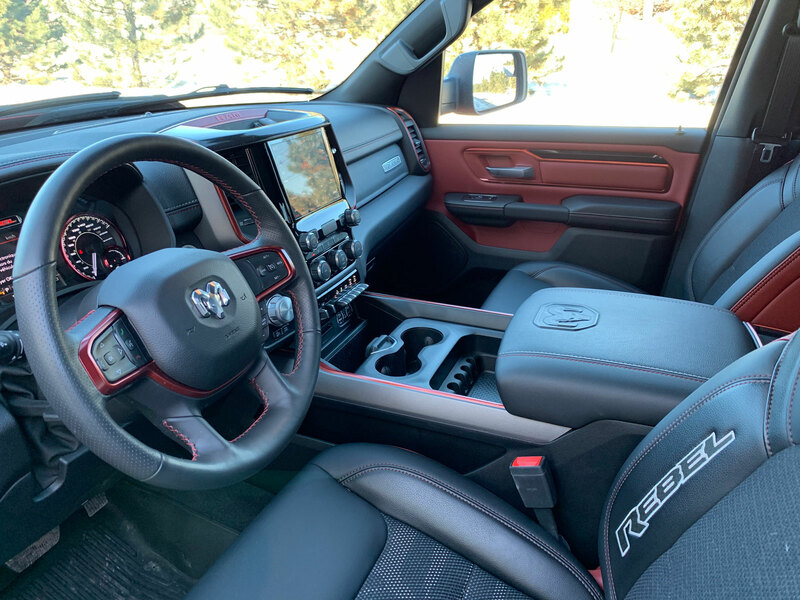 The Ram shines bright on the inside as well as the outside. 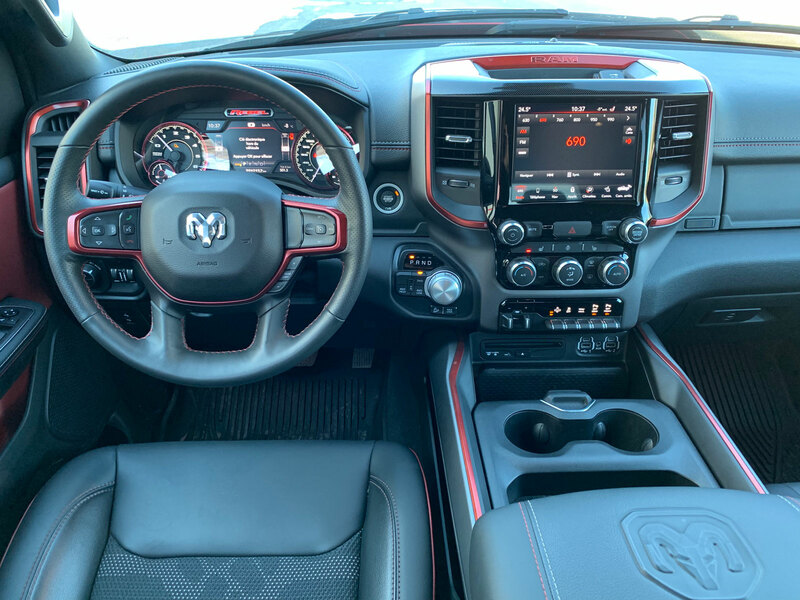 The large and spacious interior with its beautiful dashboard design is a sight to behold. 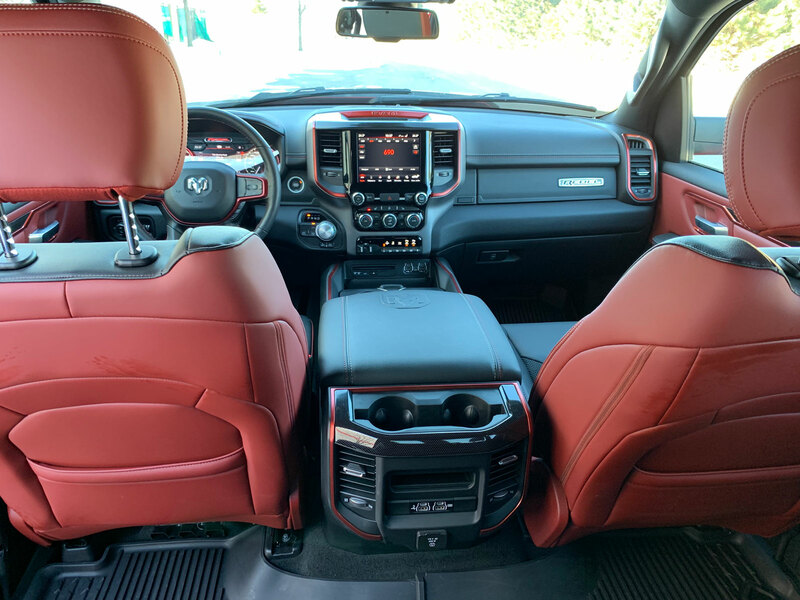 The Rebel’s red-accented upholstery is amazing and gives a nice sporty look to it. 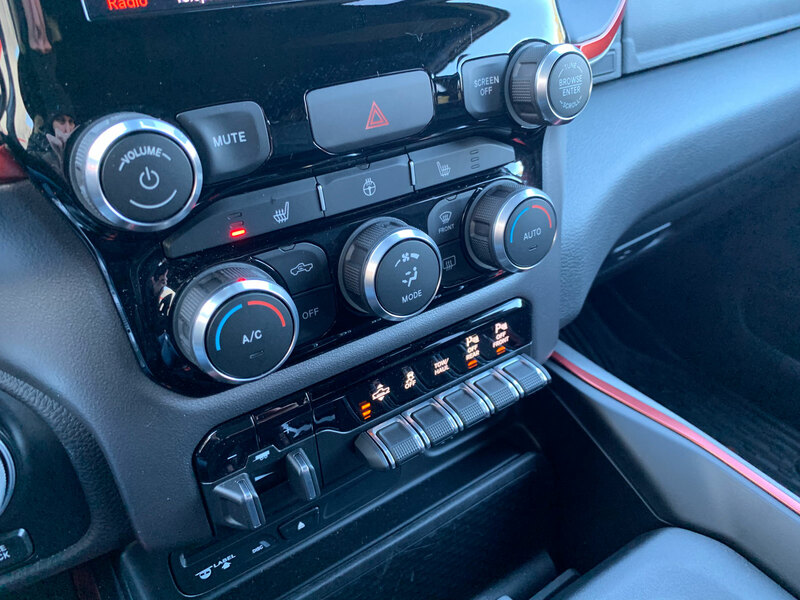 The electronic gear selector is handy and also allows for more storage space in the center console. 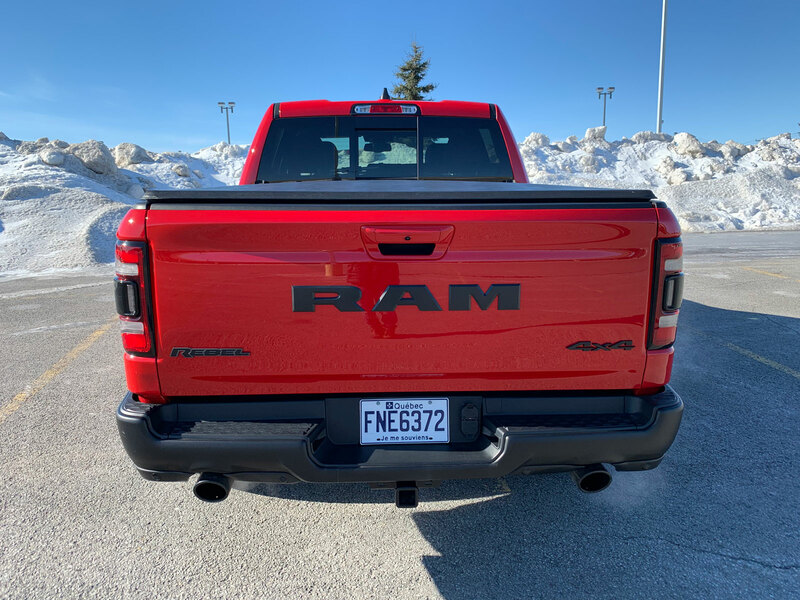 Across all trim levels, the Ram 1500 features push-button start and an electronic parking brake as well. 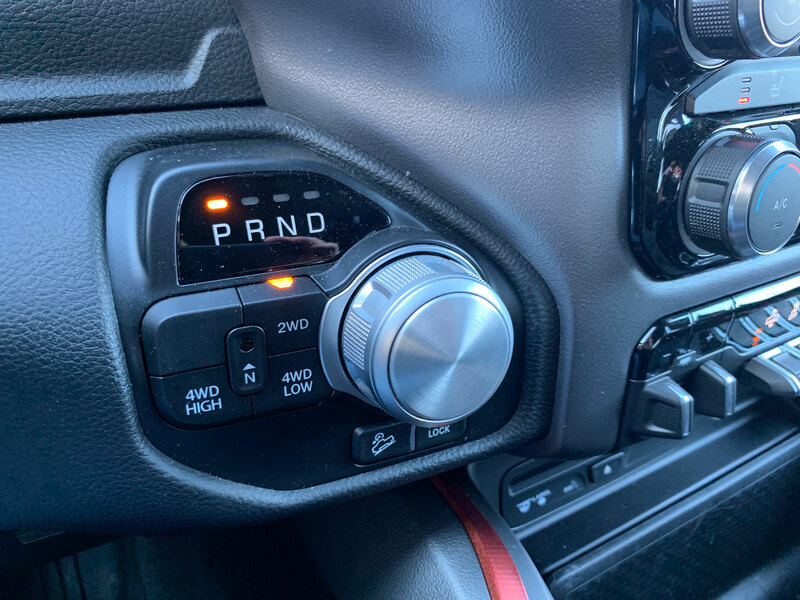 The new shifter area also groups new feature buttons, including engine stop-start (from eTorque), hill-decent control, axle lock and transfer case controls, when equipped. 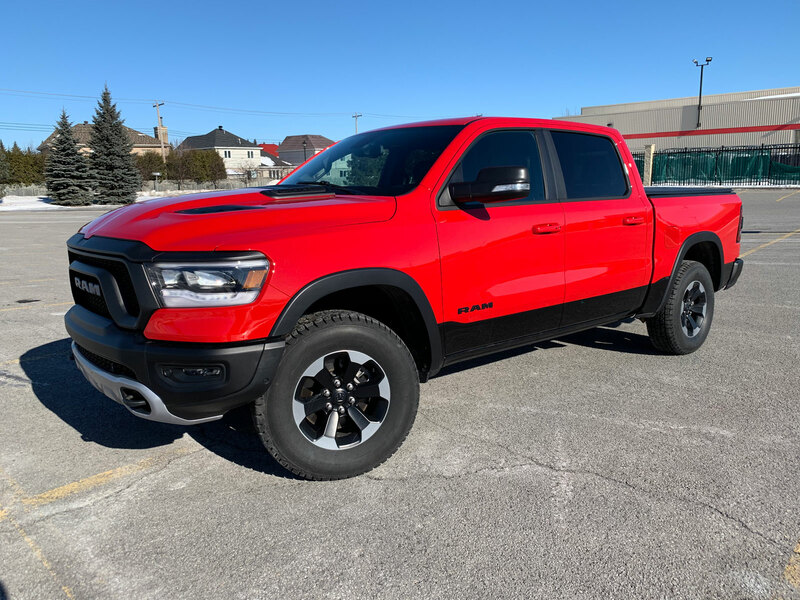 In Canada the Rebel is only available with the 5.7-litre HEMI V8 engine making 395 horsepower and 410 lb.-ft. of torque. 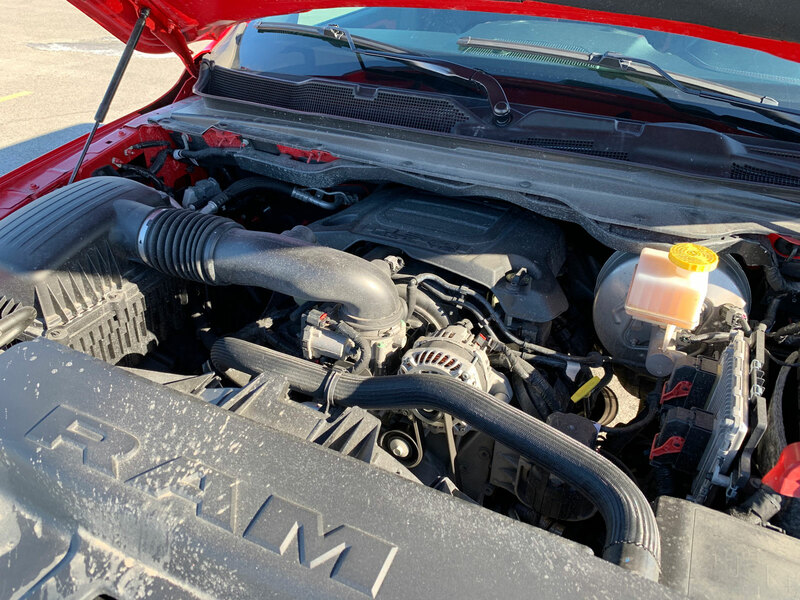 It also has performance-enhancing and fuel-saving technologies including variable valve timing and cylinder deactivation. It’s a smooth, broad power band that avoids the hesitation of turbocharged engines. 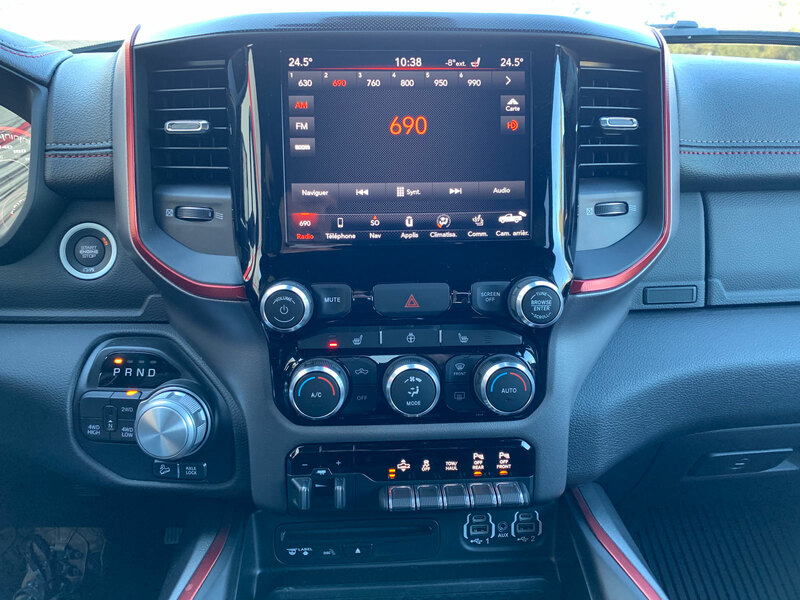 The system is paired with an eight-speed automatic transmission. You’d think it would be a bit rough for daily driving duties but I didn’t find that was the case. The optional air suspension kept the ride ultra-smooth and the tires were not very noisy on the highway pavement. 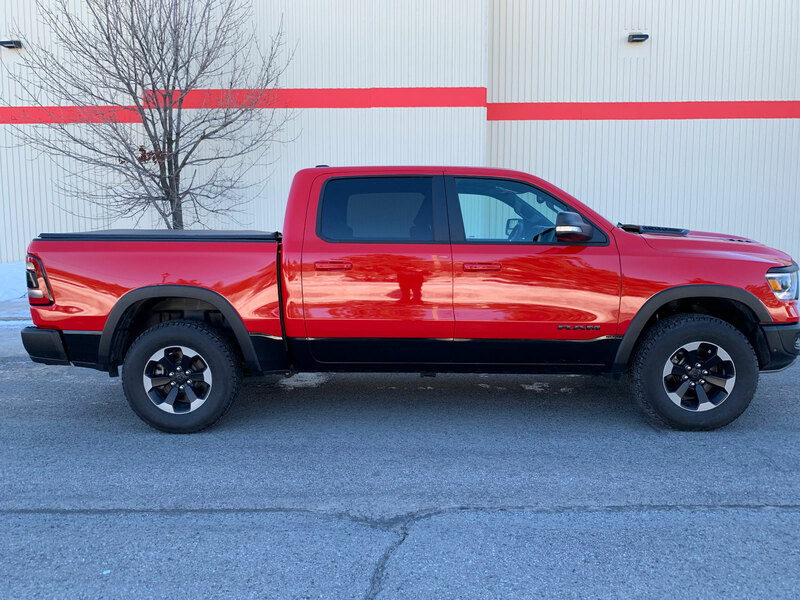 You can get into a Rebel for $61,295 before discounts. 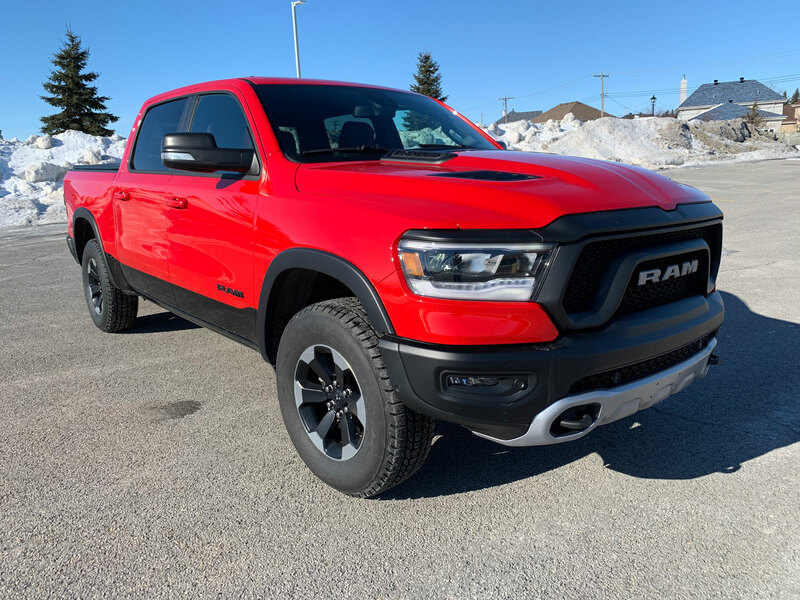 The test vehicle you see here was equipped with the Level 2 equipment group, panoramic sunroof, bed cover, larger fuel tank, air suspension, spray-in bedliner and a host of other options for a total of 73,805. 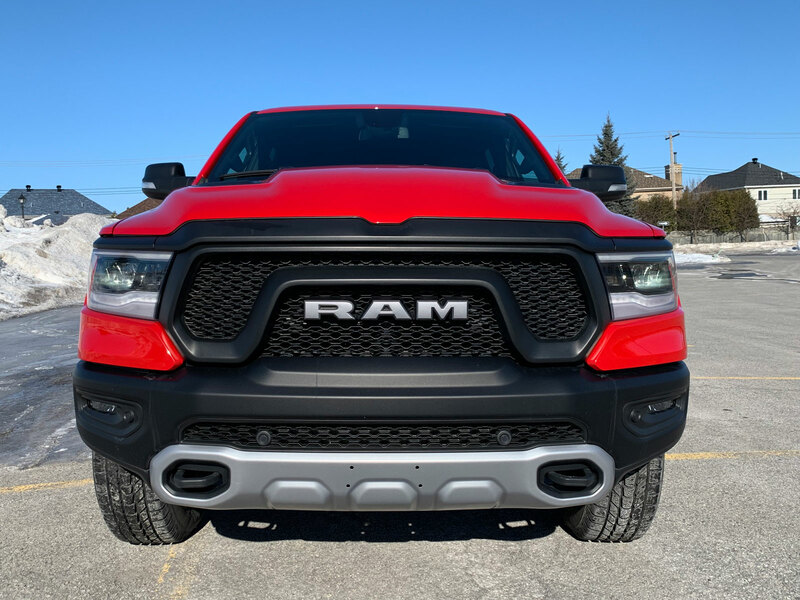 It’s a sound offering in the Ram lineup that should please most off-road enthusiasts.